The Attraction List Building Vision: To Help You Build a Business While Elevating Your Lifestyle at the Same Time. It’s about “Simplifying and Stratifying” your online business so that you’re actually creating freedom and not just another “grind your face off” awe-full sales j.o.b. 1. Generic/Universal Lead System (if you are brand new, this is the ONLY tool you’ll need because it includes EVERYTHING). It even includes a professional grade EMAIL AUTORESPONDER. For Network Marketers using the Internet to Generate Leads, Build Leads Lists, Present Products, Services and Business Opportunity and Close more sales. NOT ONLY Lead Capture Pages. This system allows you to build COMPLETE MARKETING FUNNELS, including video follow up pages, hangout replicated pages for teams, personal branding pages, video sales pages. EVERY SINGLE TOOL YOU NEED TO HAVE A COMPLETE INTERNET MARKETING PRESENCE IS INCLUDED (INCLUDING EMAIL AUTORESPONDER). This is perfect for beginners and team leaders. It makes it super simple to share ANY of your funnels instantly with your team. 2. 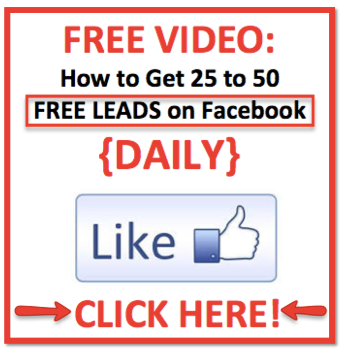 FB Leads Formula: “How to Generate 25 to 50 Free Leads on Facebook, DAILY!” Complete video coaching program teaches you a complete series of strategies that allows you to pull dozens of fresh, targeted leads on facebook every day. Build your list, create a lead attracting “Daily Method of Operation” on facebook and close more sales! This program is a no-brainer for anyone serious about list building and mastering marketing on facebook. Retail value $350. You get it for only $35! Earn 75% promoting it and it’s an income stream for you. 3. 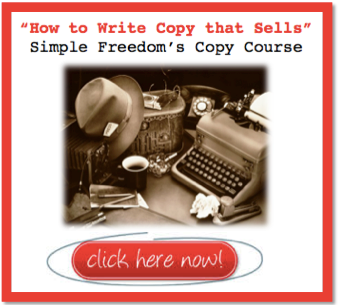 Simple Freedom’s Copywriting Course. “How to Write Smokin Ads.” Only $19! (value: $500) Info & Order at: www.SimpleFreedomCopywriting.com This was once just a course on copywriting basics but today it’s a full grown $500 value “COACHING PROGRAM” where you continue to get a stream of content, training and coaching updates. Hardly ANYONE knows about this coaching program and you pay just a one time $19! With our *scientifically proven* Viral Content, you will triple your Likes, Shares & Clicks! Post Planner saves you 2 hrs daily on Facebook Marketing! Schedule viral Facebook posts to ALL your Pages in less time.